As many parents and teachers may know, the Common Core State Standards ask our students to read closely, widely, and deeply from a variety of texts. More than ever, we are asking our students not just to read, but to think critically as they read even (and especially) in the early grades. That can be a challenge when working with lower level (early) texts. We can get children to think critically about texts we read aloud, but it’s also important to have them read, think, search, and critique the texts they can read independently. One of the best ways we’ve found so far is using different versions of various tales and fables. These books are easy to find at lower levels and allow students to think critically and compare the approaches an author may take with multiple texts and similar themes. They can read and re-read these texts, compare and contrast the details both in the words each author used and in the variety of illustrations, and discuss why an author would make certain choices. This is close reading at its finest and the kids get a real hunger for reading more versions to see how different authors treated the story elements. This practice is most closely linked with the Reading: Literature Standard 1.9, “Compare and contrast the adventures and experiences of characters in stories”, but it easily meets many of the standards of Reading Literature. And best of all, it’s fun! Recently, our first graders read three different versions of The Three Billy Goats Gruff and then we watched a short video of the same story on YouTube. Through writing and discussion, we compared and contrasted the major elements of each story, the details of each story, the illustrations, and the choices each author made with each text. We talked about our opinions about which version was best and why. Best of all, we’re going to take everything we now know about those stories and write our own versions next week (I can’t wait!). 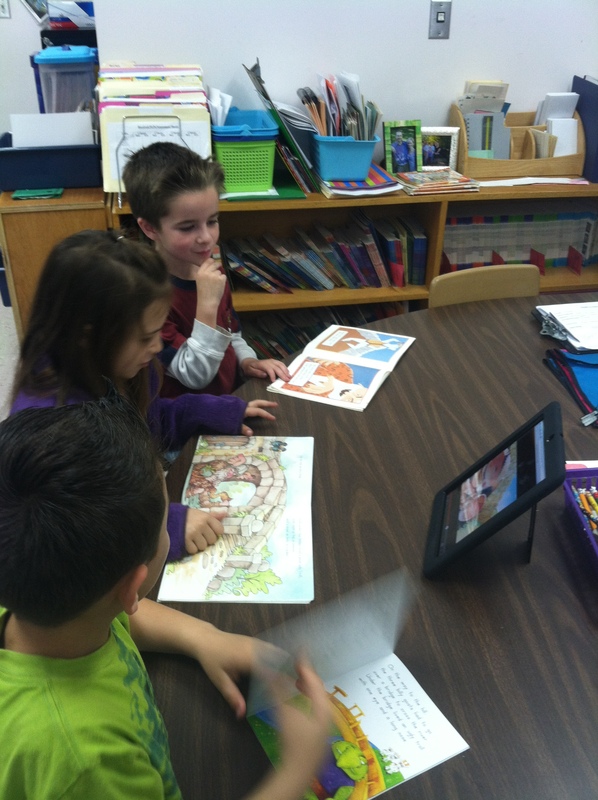 Grade 1 students compare and contrast versions and a short video of the Three Billy Goats Gruff. More thinking and searching texts with Grade 1 students at NSES. Meeting higher standards takes planning and you have to make deliberate choices to get the most out of each lesson or series of lessons. This will be a choice I make again – Three Little Pigs, here we come!